Sakura Energy, a Sri Lankan mini hydro power company owned by Dhammika Ranathunga, is planning to build a dam in Athwelthota waterfall located in Morapitiya- Athwelthota. The project aims to generate a 1.5MW hydro power capacity and got the legal permissions from the Sri Lankan project approving agencies. The project was already proposed in 1994 and 2006 but it has been stopped due to the villangers protests. Today also, thanks to the strong opposition carried out by locals, the permission is under reconsideration by the Central Environmental Authority (CEA) and the forest Department . 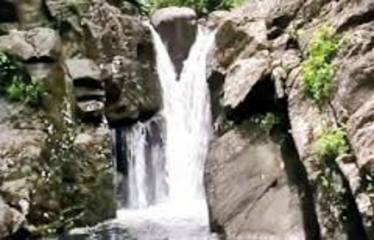 Locals and environmentalists are opposing to the project because it will cause the distruction of the waterfall, leading esthetic degradation and a negative environmental and socio-economic impact. In fact, the Athwelthota streams are important habitat of rare fish species. During an islandwide freshwater survey, researchers from the Wildlife Conservation Society of Galle (WCSG) found fairy dandiya (Rasboroides nigromarginata) in one of the streams after an abence of 53 years. A change of water flow could disrupt the ecosystem of the endemic fish species and threaten their survival . On the other hand locals and environmentalists point out that during the rainy season the streams carry a heavy load of water so a dam would cause flooding of the nearby area. In particular the Road development Authority has issued a letter stating that there will be no damage to the nearby road due to the small reservoir crated by the project, as the road level was raised during the recent renovation. However, following a report released by CEJ , the 1.5 meter dam will increase the water level of the river to the road level. Since Athowelthota river brings down large amount of water during the rainy days, it is likely that the road goes under water during the flash flood that are very common during the rainy season. Moreover, local people are in the opinion that several bathing spots in the upstream will not be able to use after the construction of the dam. At least one family that lives in the other side of the river with no road facility will have to suffer. Furthermore, it is pointed out by local EJO's that the EIA process on Morapitiya hydro power project is fraudulent . Even thought Athwelthota waterfall does not fall under the EIA category, as it is a sensitive location a EIA should be produced. Instead the project was approved thanks to an Initial Environmental Examination (IEE). Thus, it has avoided having public comments mandatory under the EIA process. Following the statement by CEJ, The Divisional secretary has issues a no objection letter to the EIA produced in 2007, without making it available to the people in the area. Although the Grama Niadhari of the area says that a notice was displayed, no one has seen it. The Divisional Secretary once again issued a no objection latter to the project in 2014, based on the 2007 letter, without treating it as a fresh approval. This is clearly and irresponsible act and abuse of the power of a public officer. Athwelthota waterfall has a long history going back to over 500 years to the time of Portuguese in Sri Lanka and is a recreational place for many locals and tourists, however the CEA gave its approval to the project on grounds that the little waterfall, which is four feet high, was not high enough to be classified as a waterfall. Despite the general belief that little projects are also suitable for nature, mini hydro power projects are hurting several waterfalls in Sri Lanka, as well as in other countries all over the world. Some of the most beautiful Sri Lanka's landscapes, such as Watawal waterfall and Naya Ganga falls, have already been destroyed for the implementation of this kind of plants enriching the mini hydro power industry . Once more Government officials approve such destructive project in the name of development. But, as Hemantha Withange (Executive Director of Centre for Environmental Justice) states 'The so called developers have no right to destroy our nature, beauty, livelihood and history for rupees and cents' . Project Details The project will generate on 1.5 MW electricity capacity to sold to the national grid . 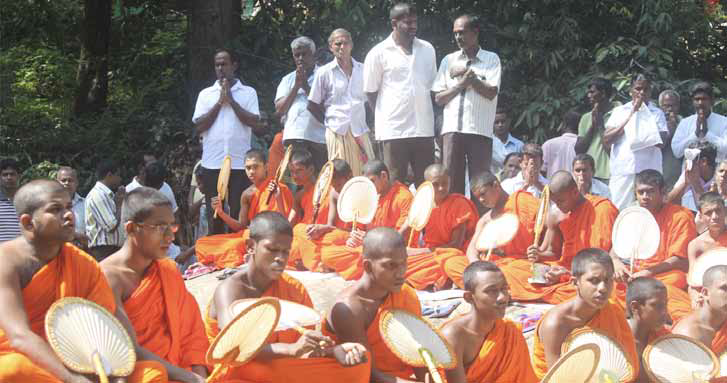 Ordination of tree: on the 4th April 2015, in order to bring the necessary attention, several trees on the banks of the waterfall were symbolically ordained with robes by the Buddhist monks and local communities . Other Affection of the biodiversity, especially fish diversityin Sri Lanka as Athwelthota streams are important habitat of rare fish species . Other The waterfall is an importatnt turistic spot. Local pepople dipend from the selling of Kitul Honey to the dourists, so the distruction of the waterfall will affect the livelyhoods of residents in the area . The mini hydropower project will modify the streams causing problems to local families which depend from Athwelthota streams for drinking water and irrigation . project which will guillotine the Athwelthota waterfall and the biodiversity hotspot, the last habitat of the variety of fish species. - Suggest that the Athwelthota River should be declared as a conservation area under the Fauna And Flora Conservation Act  or under the National Environmental Act  to stop future degradation of this important habitat . News paper article from 'The daily mirror' Sri Lanka (06/04/2015). Athwelthota Ella endangered wiyh mini-hydro power project'. By Madawala and Kusal Chamath (accessed 23/04/2015).